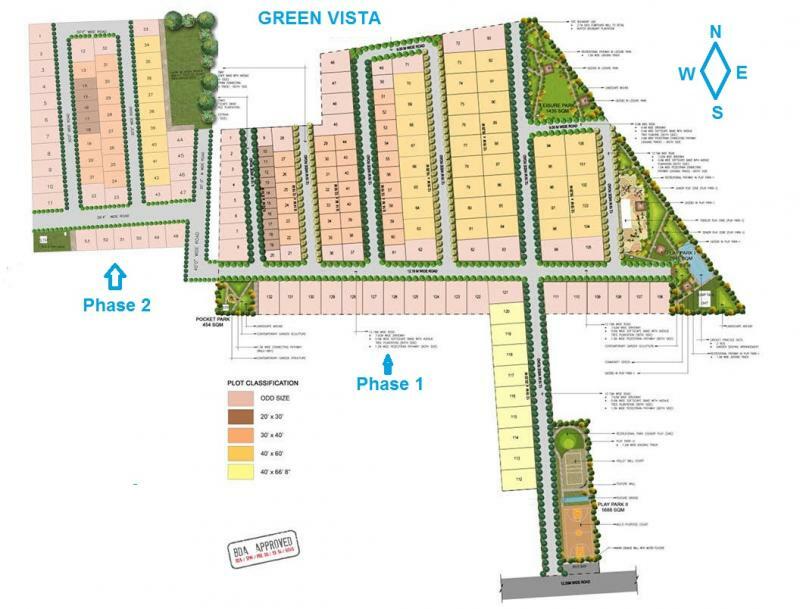 Green Vista is well Positioned, BDA Approved (The highest Authority in Bangalore) Gated Community to Reap from the existing Infastructure and all Upcoming Developments at Sarjapur. The Residential Villa Plots Project is just 1.5 Kms from Sarjapura Main Road and is just 6.5 Kms from Total Mall. A very Premium Location just5 Kms away from Wipro Corporate Office the land mark on Sarjapura Main Road. From Carmelaram Railway Station this Gated Community is located 4 Kms. We're Surrounded With Round Development With Major Companies And Residential Localities In The Vicinity. The Project has already been provided with all basic amenities like Tar Roads, Electricity with underground Cabling, Parks underground drainage and Water facility, Compound Wall and 24 hours security . The Photos shown are real Photos shot at the site at 1st and 2nd Phase. Now we got approval for 3rd Phase from BDA and work has already started.